Established in 2008 when it was granted full university status, University for the Creative Arts (UCA) is a specialist art and design university in the south of England. It’s the result of the merger of Kent Institute of Art & Design and Surrey Institute of Art & Design, University College, both of which were themselves mergers of independent schools and colleges, most of them dating back to the late 1800s. Today, UCA is spread across four campuses in Canterbury, Epsom, Farnham and Rochester, with more than 7,000 students. 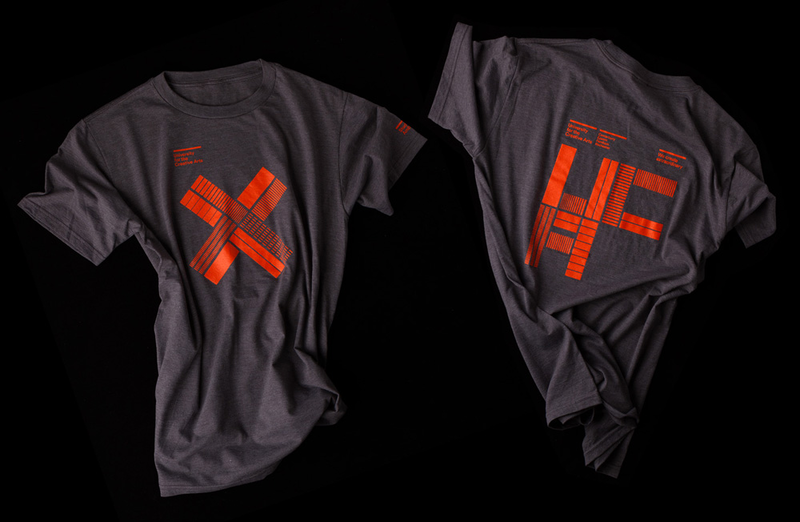 Earlier this month the university introduced a new identity designed by London-based Spin. It was difficult not to be inspired by the passion for ‘creativity’ and ‘making.’ Our starting point is a visual language synonymous with designers and architects and employed by them as a way of marking work in progress, the humble stencil. It was from this seed the identity grew. We have created a solid anchor point in the logo whose essential stencil component parts will form the visual root from which the identity grows. Its creative potential has no end and can be developed year on year. The previous logo was as unremarkable as it gets for a creative-oriented institution and the all lowercase approach in the spelling out of the name didn’t help in any way. (Despite any lack of positive traits, some deluded students still protested its loss). The old logo, you could easily miss but the new one, almost impossible to. The large UCA acronym, rendered with 10 thick lines is big and bold, nicely anchored by the full name of the university, typeset in Lineto’s Circular, natch. 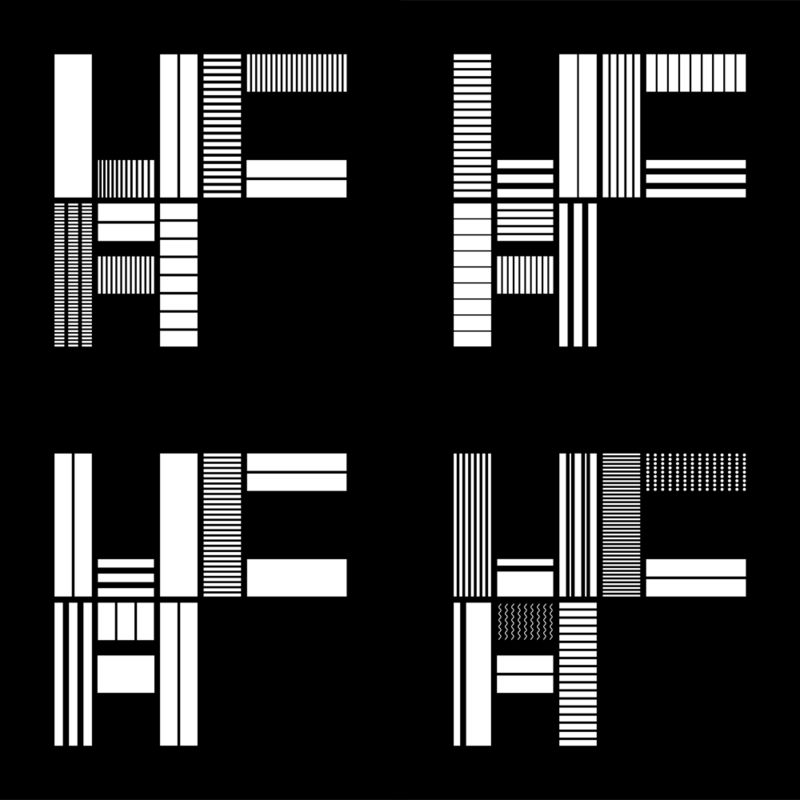 As a standalone logo it’s nice and sturdy enough but in application it bursts into action with expanded patterns and elements. 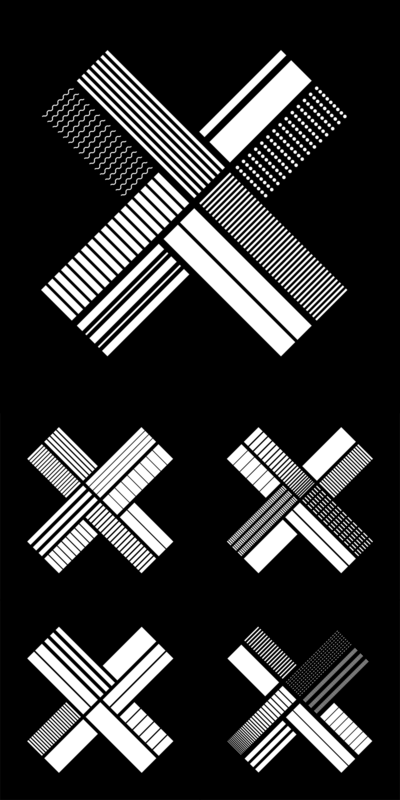 The patterned acronyms and “X”s remind of old school desktop publishing rulers and type gauges, with the incrementally spaced and width-varying shapes. It’s a pleasure to look at and highly relevant to the institution it represents — an accounting university would never look like this. 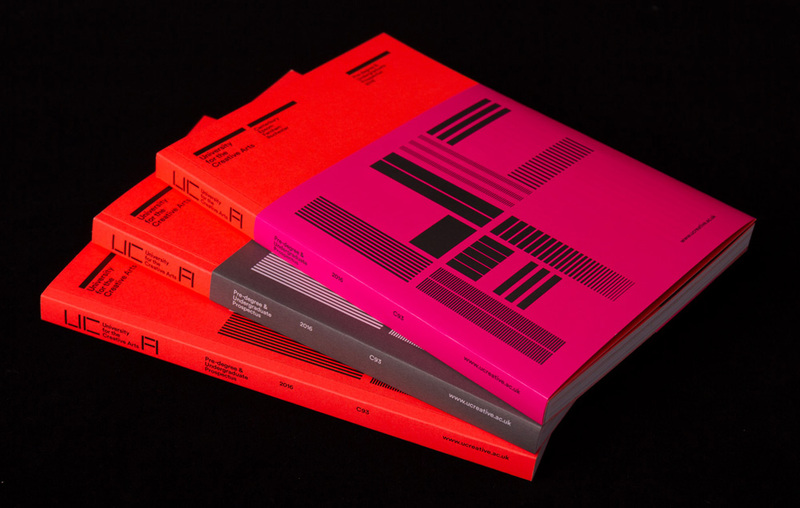 Prospectus with different-colored slip covers. 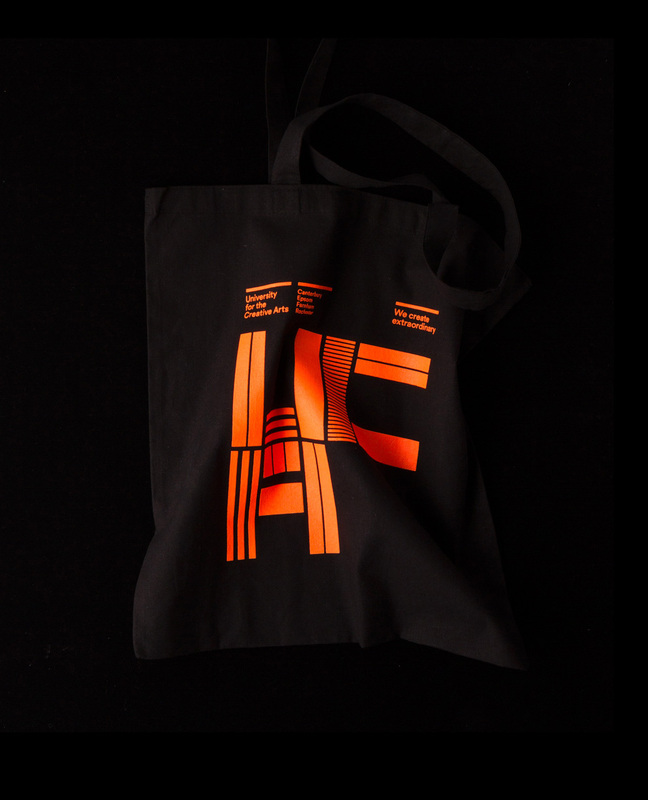 In application, the alternate logos get more play to allow the large UCA versions to be the most representative element as shown in the prospectus covers and tote — paired with the fluorescent orange accent color, they make for extremely noticeable objects. Overall, while the identity is energetic and dynamic on the surface, it retains a sense of academic rigor and restraint that limits it from becoming too design-y for its own good. 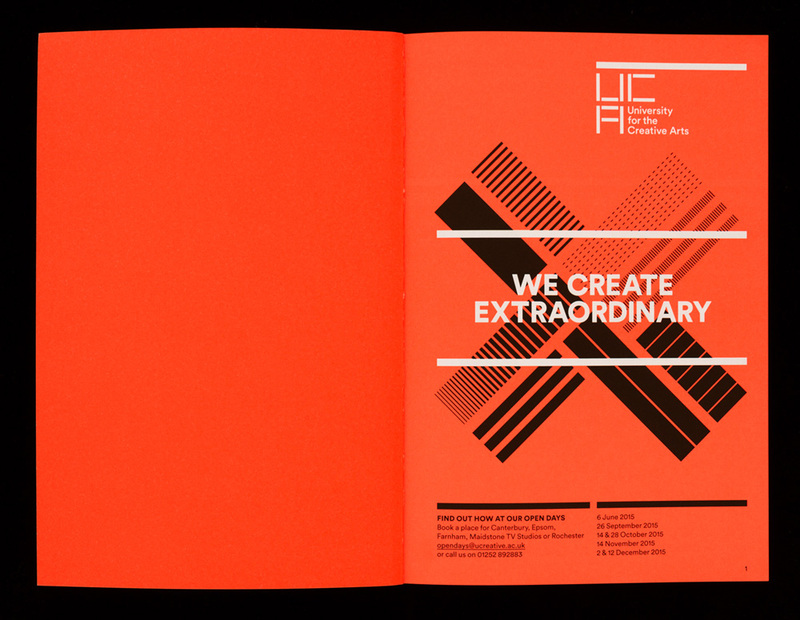 Established in 2008 when it was granted full university status, University for the Creative Arts (UCA) is a specialist art and design university in the south of England. It's the result of the merger of Kent Institute of Art & Design and Surrey Institute of Art & Design, University College, both of which were themselves mergers of independent schools and colleges, most of them dating back to the late 1800s. Today, UCA is spread across four campuses in Canterbury, Epsom, Farnham and Rochester, with more than 7,000 students. Earlier this month the university introduced a new identity designed by London-based Spin.